The Springfield Chapter was formed in 1972 to serve all fishermen in the Springfield area. The Branson Chapter was formed in 2016 as a branch of the Springfield Chapter and received a provisional charter as their own chapter in May 2017. MTFA-Branson received its full, permanent chapter status at the State Council Derby event in May 2018. Whether you are new to trout and game fishing or a seasoned veteran, we would love to have you join our club. 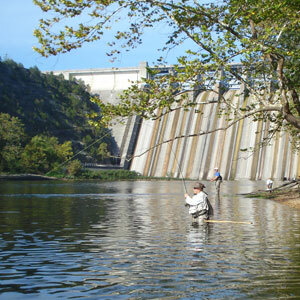 Read up on the latest news and information on the Missouri Trout Fisherman's Association. Keep up to date on all the events happening in the club. Beginners and experts alike will find comradeship, a resource to area fishing opportunities and meet with individuals sharing a common interest. Most of us are fly fishers but we welcome spin fishers, too. If you're looking for a trout fishing club that shares its interests in fly tying, fly fishing for trout, white bass and other species, please take time to check us out. We get involved with programs aimed at teaching youth and adults. Programs that instruct fly casting to individuals, assist with fly tying and help to identify insects in/on the stream. 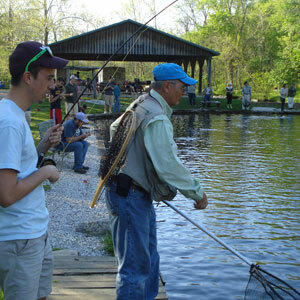 Our intent is to help beginners get started on the water and enjoy the passion of fly fishing. 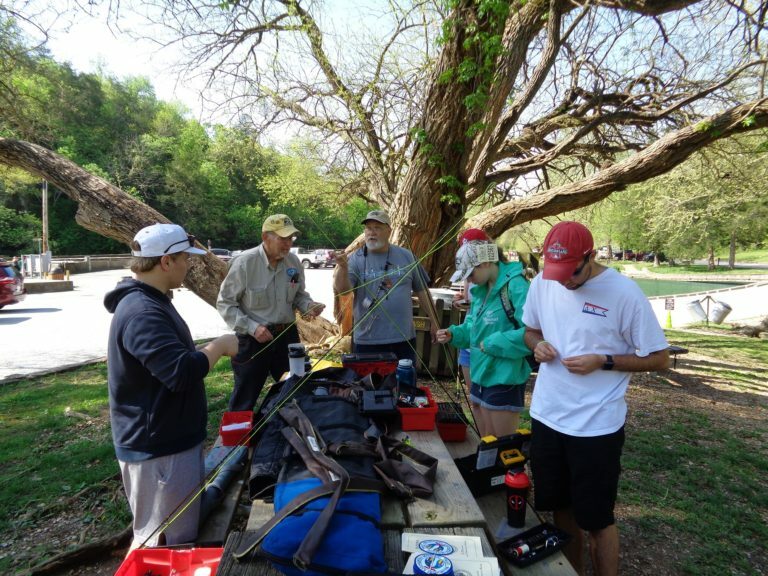 If you have an interest for fly fishing, fly tying or just enjoy the outdoors, consider getting involved with any local fly fishing club to expand your knowledge and gain a greater appreciation for the opportunities Missouri can offer. By getting involved, you will be supporting the Missouri Department of Conservation, Federation of Fly fishers and Conservation Federation of Missouri, a voice will be heard to continue the on going conservation efforts for our children, and their children in the future. 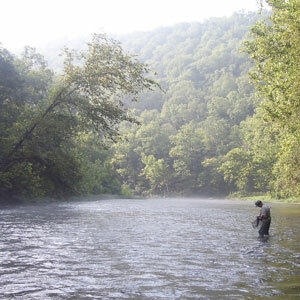 Thank you for your interest in fishing in the Ozarks.